St. Martin's Press, 9781250043962, 320pp. From Tatjana Soli, the bestselling author of The Lotus Eaters and The Forgetting Tree, comes a black comedy set on an island resort, where guests attempting to flee their troubles realize they can't escape who they are. 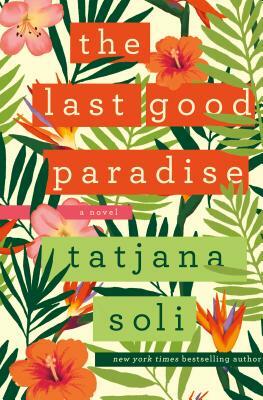 By turns funny and tragic, The Last Good Paradise explores our modern, complex and often, self-contradictory discontents, crafting an exhilarating and darkly satirical story about our need to connect in an increasingly networked but isolating world.